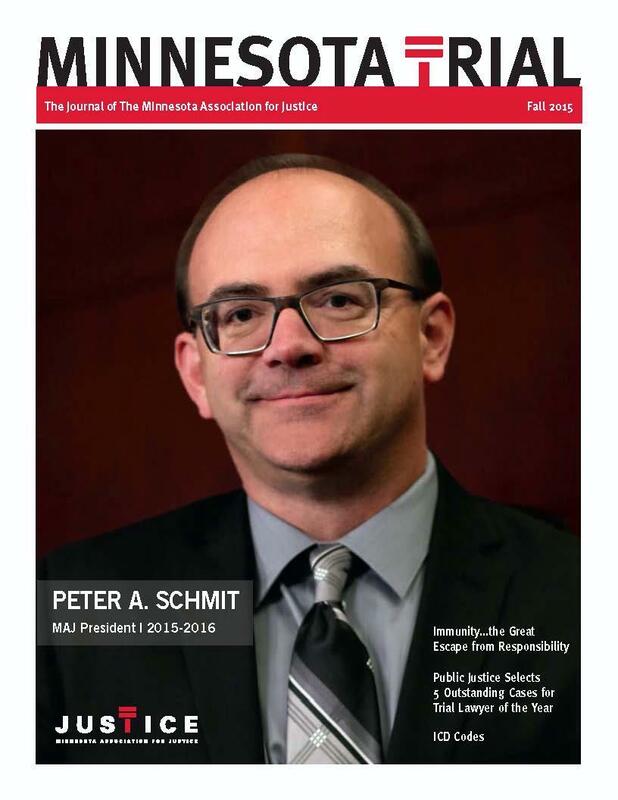 For over 30 years the Minnesota Association for Justice has been bringing top quality news and information to the legal profession, through our quarlerly magazine: Minnesota Trial. Minnesota Trial is the premier trade magazine for litigators throughout the state. With insight and intellegence Minnesota Trial keeps our readers up-to-date with articles, reports, products and services related to the issues that matter to them. Our readers are your target market: educated professionals, leaders in the legal community with purchasing power. Please consider advertising with us. Our adverstising rates are very reasonable and your ad will reach the top tier of the legal community in Minnesota. Get the Minnesota Trial Media Kit Here.